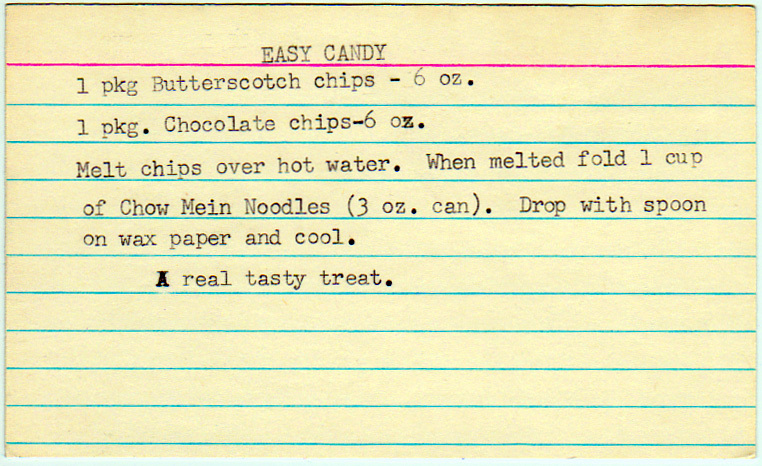 For more on the history of chow mein noodles, see the post for tuna crunch salad. Melt chips over hot water. When melted fold in 1 cup of Chow Mein Noodles (3 oz. can). Drop with spoon on wax paper and cool.